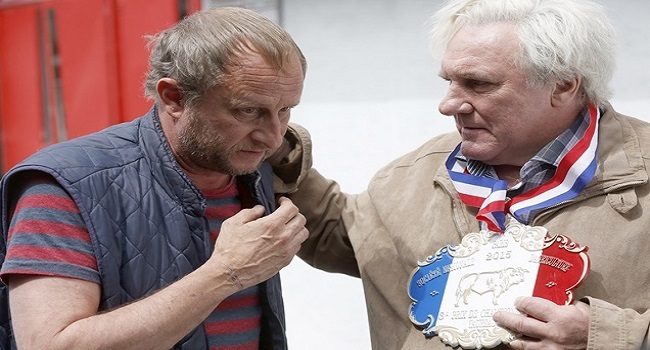 Gérard Depardieu and Benoît Poelvoorde play a father and son, respectively, attending a livestock show. Luckily for Poelvoorde, the fair also features a wine exhibition and he makes it his mission to sample everything. Since there are a few days before the main event (the cattle competition), Depardieu suggests they widen the scope of the wine tour. Poelvoorde is all for it so the two hit the road with the help of cabbie Vincent Lacoste. Saint Amour had me at “French wine tour”. If anyone ever wants to organize a French road trip, count me in. My wife Jay will definitely come too. There’s a joyous feeling as the characters move to the countryside and get their drink on. The experience feels like it should, and as a viewer I wished I was more actively involved in the adventure. Even Vincent Lacoste, who I instantly recognized as the title character in Lolo (likely the most detestable character I saw on screen in 2015), is entertaining as the cabbie/third wheel. The beating heart of the movie, though, is the interplay between Depardieu and Poelvoorde. They are both funny and surprisingly sweet as they try (and often fail) to reconnect over bottle after bottle of what I am sure was excellent wine. Neither of them has a lot to say to the other, but as the story progresses we see it’s not for lack of trying. Then the film swerves in the last ten minutes, leaving us with an ending I did not see coming, not even a little bit. It’s not the worst ending, but it’s quite bizarre. Mainly because it didn’t fit with my feel for the father and son duo and left me feeling a bit flat. On the other hand, the swerve was believable for Lacoste’s character but that could be my Lolo hatred resurfacing. Me, I would rather have finished the wine tour. Even with the bumpy landing, Saint Amour is an entertaining ride that goes down smooth. Now to start dropping hints to Jay about a real-life tour of France’s wine regions, sans compromis. 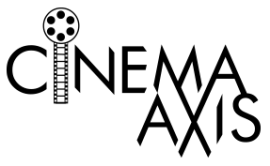 Tickets can be purchased at the Cinéfranco website.